Jawz is looking sharp! He's getting ready for his future career at Fall Career Week 2014. September is always a busy month at IUPUI—new students settle into their routines, the first round of exams begins, and many university events provide a break for busy students. One of IUPUI’s recurring events is Fall Career Week, which is set to be a truly memorable event for our university. 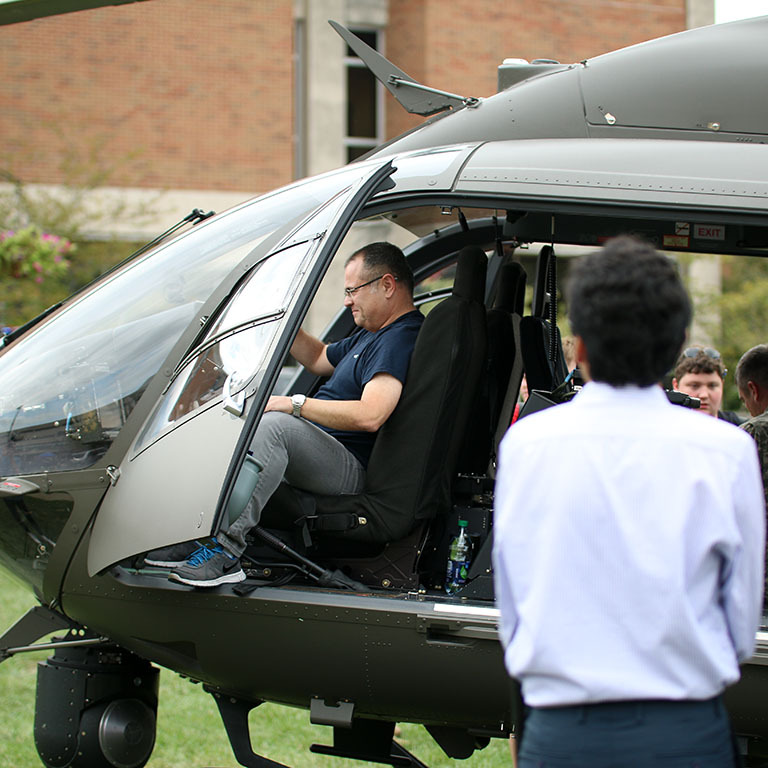 Fall Career Week is celebrating its tenth anniversary of empowering student success. 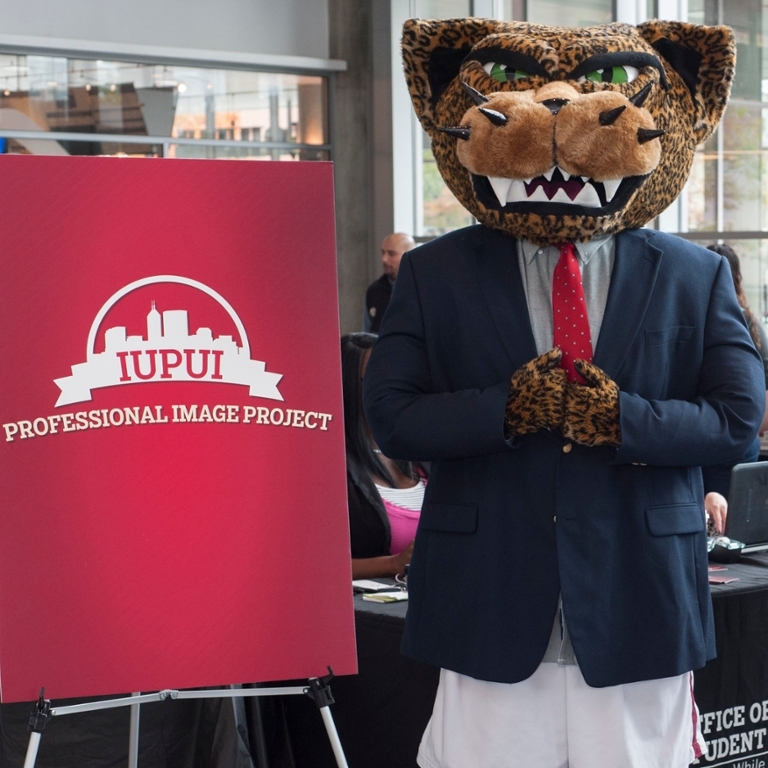 Fall Career Week, like many IUPUI traditions over the years, has seen a marked increase in participation. From 2009 to 2017, the number of students attending the event increased from 1,700 to 7,100. This is an incredible rise, especially considering in 2009 there were 28,756 total students enrolled, and in 2017, the increase was marginal with a slight increase to 29,790 total students. Fall Career Week has proved its worth to the student body over and over, as each year it attracts more students to enjoy its many benefits. If I hadn't attended the HIM panel at Fall Career Week, I doubt that I would have realized the broad range of opportunities available within the profession. 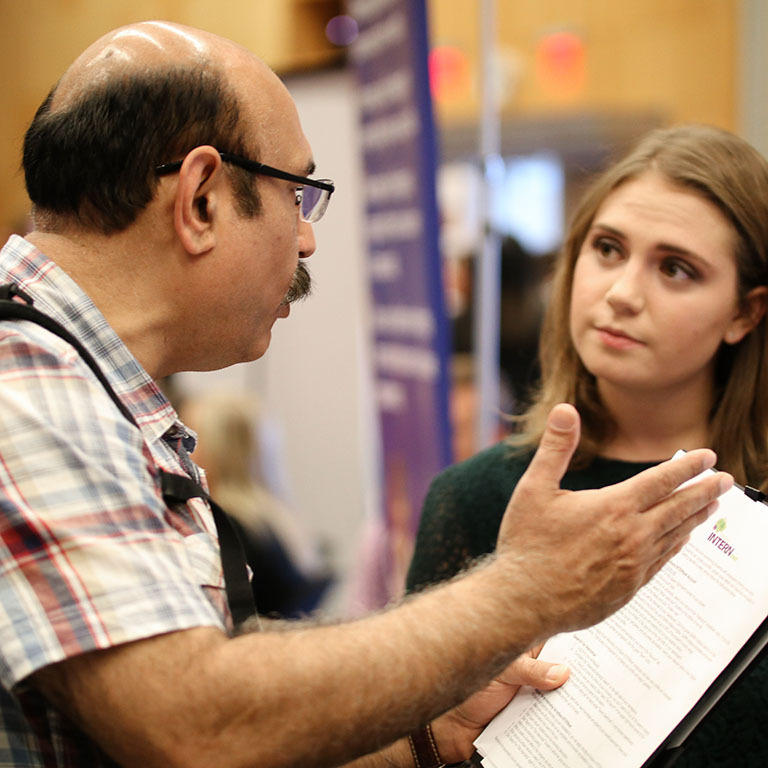 Fall Career Week gathers staff, faculty, alumni, employers, and students from all across campus to create a positive environment conducive to engaging students in major and career exploration. 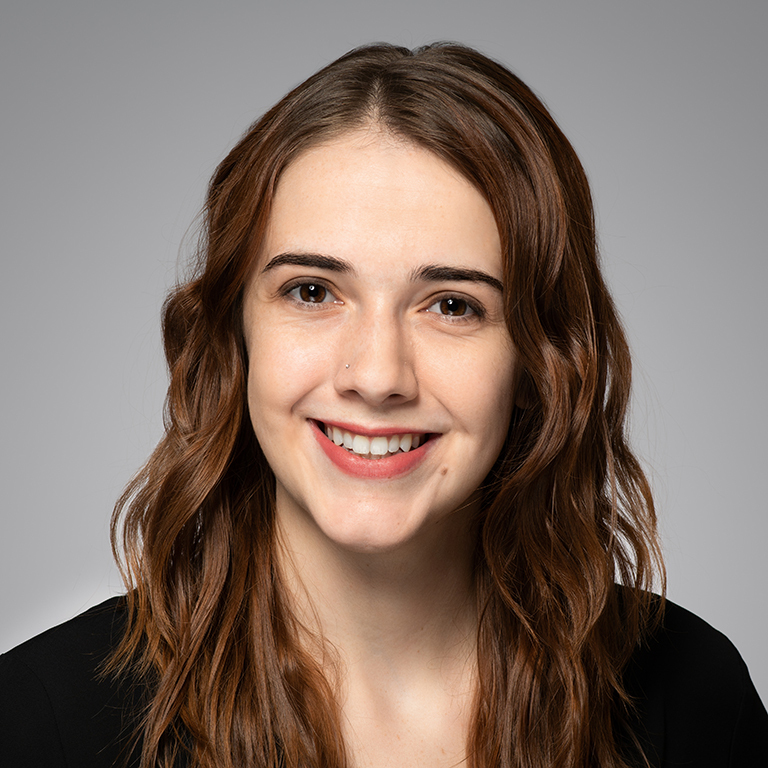 Students, like Alyson, have the opportunity to talk with representatives from various schools about programs and to question alumni and employers about their academics, career paths, and places of work. Many of the events assist students in developing professional skills that they will need in acquiring professional positions and throughout their careers. 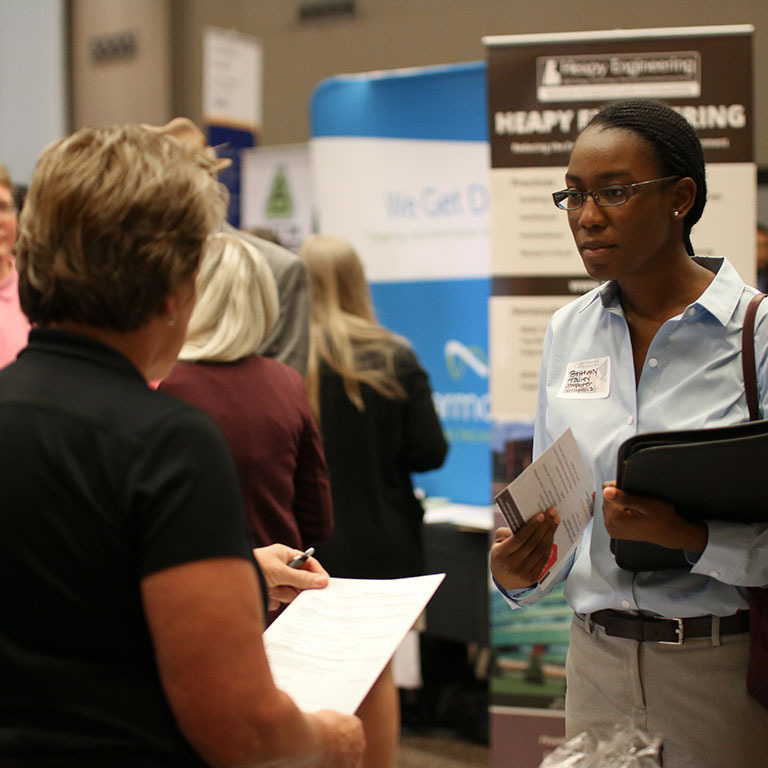 Fall Career Week is designed to help all students build their networks and identify opportunities for internships and part-time or full-time positions. Free Donuts and Coffee for All, Campus Center Atrium, September 24, 9:30–11 a.m.
Fall Intern Fair, Campus Center, Fourth Floor, September 25, 1–4 p.m.
Public Safety Career Day, Taylor Courtyard, September 26, 12–3 p.m.
“Recycled Runway–Dress for Success on a Budget” Fashion Show, Campus Center Atrium, September 26, 3–4 p.m.
Career Connection STEM Career Fair, Campus Center, Fourth Floor, September 26–27, 11 a.m.–3 p.m.
Come out to Fall Career Week to discover the ample professional resources available. Details and full descriptions of the events will be posted at fallcareerweek.iupui.edu.